We're extremely proud of our extensive network and wide range of products and services to suit customer needs. We also understand the importance of keeping you informed, which is why we have developed this platform. Bite-size training modules with interactive content that will take you on a journey to fully understand the many British Airways products and services. Access to useful content or assets for use in messages and presentations such as images, logos, brochures, documents and webinars. Instructor led webinars to support your e-learning courses as well as British Airways company updates and other important announcements. We will be running regular incentives through the platform, sign up for your chance to win exclusive prizes. Check out the latest news about our current flight operation, or Arrivals and Departures for up-to-the-minute information on specific flights. 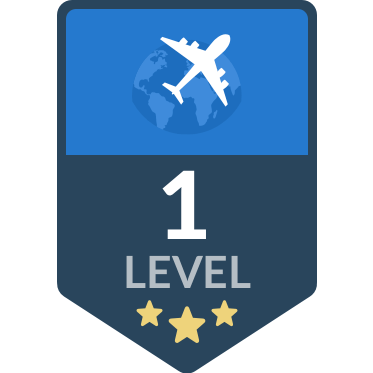 Achievements are rewarded in the form of digital badges and certificates when activities are completed. Limited edition badges will also be available. The number of courses available. The number of registered users. The number of courses completed.